"This book can help you bring a new sense of compassion and healing to yourself without having to be in therapy. Through Jay's user-friendly description of the Internal Family Systems approach, you will begin to change how you do "self talk," or internal dialogue. As you relate to even your most shameful emotions and impulses with curiosity rather than judgment and with caring rather than disgust, you will find that these parts of you are not what they seem. They are valuable inner resources that have been distorted by difficult life experiences. Even more uplifting, you will learn that you have a core, an essence, that is untouched by life's traumas. What IFS calls the Self is in every one of us; it is a source of wonderful qualities from which we can lead our inner and outer lives. In this way, the book releases our self concepts from the pathological and pessimistic way we have been taught to view ourselves. It proposes a new, optimistic, and edifying vision of the mind and shows how easily it can change and heal." In the podcast we refer to recent scientific advances in the understanding of memory- more information about this can be found here and here. 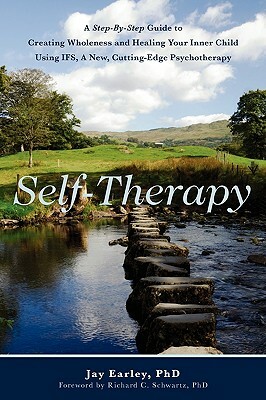 We also refer to Jay Earley's other book "Self-Therapy for Your Inner Critic".